"There is a lovely depth of fruit on the nose, the palate has beautiful density of dark cherries and smokey hints, with freshness and very silky tannins, lively refreshing and very satisfying." "Dark dusty garnet color. Meaty aromas of liver pate, cherry mostarda, char-grilled bread with butter, and cedar plank with a satiny, lively, dry-yet-fruity medium-full body and a warming, complex, medium-long lingonberry, salted herbs, and coriander finish with chewy tannins and moderate oak flavor. 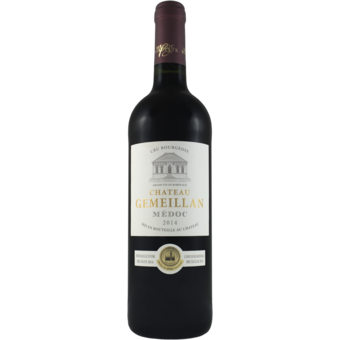 A juicy and savory Medoc to write home about"
"Cherries and blackberries come together with spices, tobacco and pain grille. Medium-bodied with nice overall structure and balance. Finish lingers with blackberry and tobacco nuances. A fine showing from the vintage." 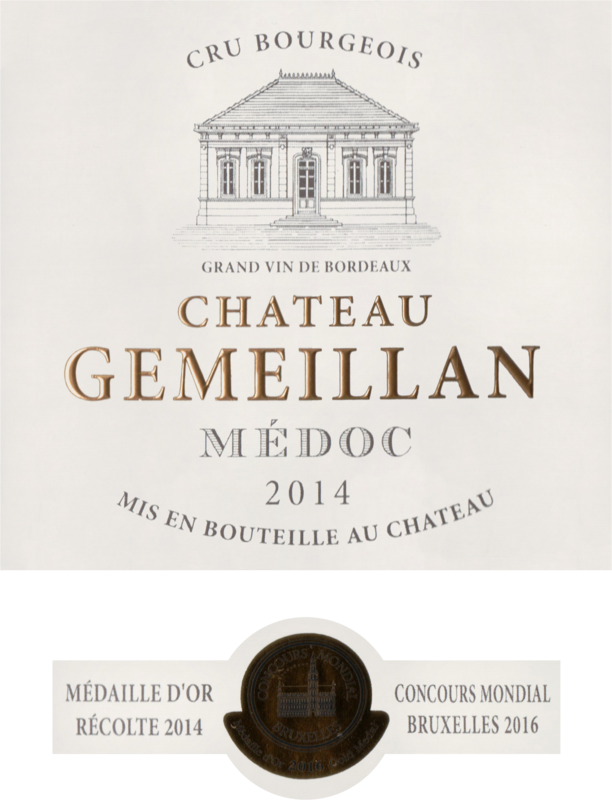 "In 2006, Chateau Gemeillan is created and breathes life into an urge to express a new facet of our soils. Our selection of grapes which grow on superficial gravelly soils creates a wine characterized by its roundness and its generosity.